Rhapsody's offers an indoor restaurant along with an extension of the restaurant and an extensive bar outdoors and under cover. The daytime ambiance is perfect for a coffee or lunch meeting with friends of business colleagues with the ambiance changing to a livelier atmosphere at night. Rhapsody's offers a range of meals for breakfast, lunch, and supper which from breakfast specials to steaks and salads, fish dishes to vegetarian options. Their bar is fully stocked and they have a wide selection of cocktails which can be enjoyed in the stylish setting. Rhapsody's often provides live entertainment for diners at night. Rhapsody's is perfect for all ages and offers a Pensioners Monday special where diners over 65 get 10% off their final bill. 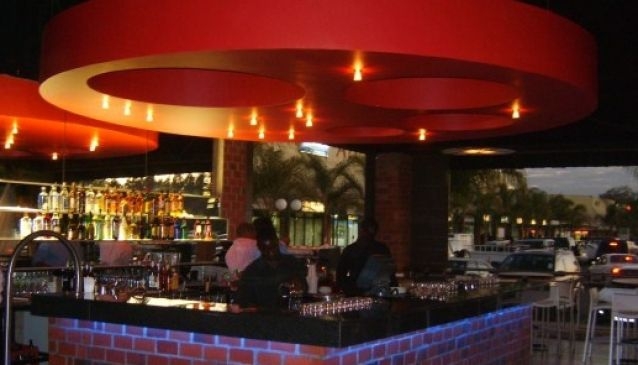 Rhapsody's holds the PMR Diamond award for the best executive restaurant in Zambia for 2011.